We're listing these as "Refurbished", but the boxes will be marked "Used - Good". These units will have minor cosmetic blemishes and have been returned, inspected, and restored to fully working condition by an Amazon technician. The units have been repackaged in a brown box. Just tap and ask for music from Amazon Music, Spotify, Pandora, iHeartRadio, and TuneIn. Enable hands-free mode to control music and more from a distance. 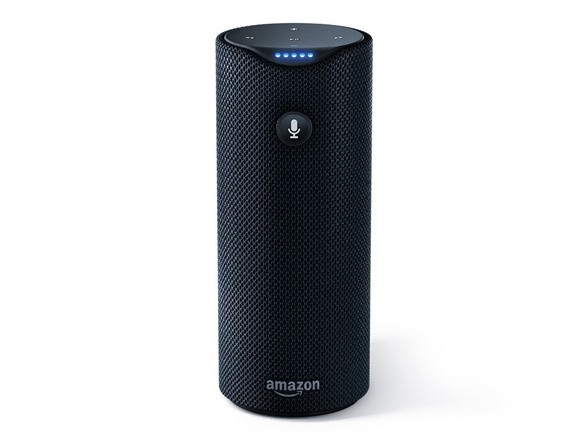 Amazon Tap is a portable Bluetooth and Wi-Fi enabled speaker that gives you rich, full-range sound. Just tap the microphone button and ask for music, hear news, search for information, order a pizza, and more with the Alexa Voice Service. Discover and enjoy music, all in one place with Amazon Music-just tap the microphone button and ask for your favorite artist or song, or request a specific genre or mood. You can also search for music by lyrics, when a song or album was released, or let Alexa pick the music for you. Listen to any song with Amazon Music Unlimited. Stream directly over Wi-Fi from Amazon Music, Spotify, Pandora, TuneIn, iHeartRadio, and more. You can also connect via Bluetooth to your music-including iTunes. When on the go, streaming music is just as easy using your phone or other mobile device’s hotspot. Dual stereo speakers with Dolby processing for crisp vocals and extended bass response. 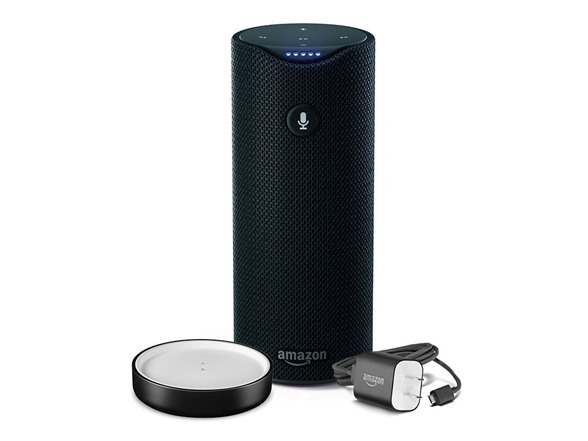 Amazon Tap provides 360° omni-directional audio. 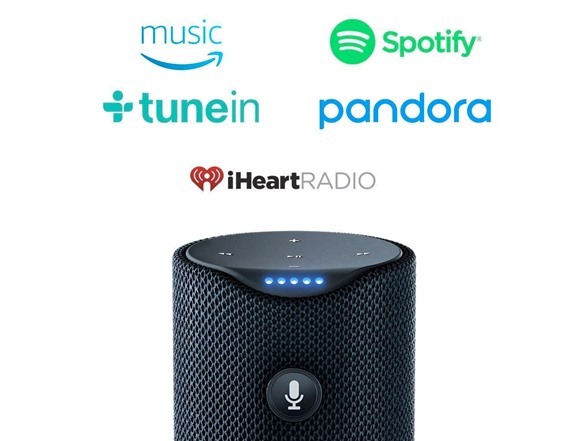 Small and easy to travel with, you can enjoy great music and Alexa wherever you are. When connected to Wi-Fi you can access Alexa, a cloud-based voice service that is always getting smarter. Just tap the microphone button and ask to hear news, set a timer, or get the weather. Skills offer additional capabilities like ordering a pizza from Domino's, requesting a ride from Uber, or tracking your fitness with Fitbit. Whether you’re heading to a party or pedaling to the park, Amazon Tap’s compact size makes it easy to move around. And at just over a pound, it’s perfectly portable. Just throw it in your backpack or, with the optional carrying sling, clip it to your bag and get going. Battery Life: Up to 9 hours of continuous playback. Battery life will vary based on device settings, usage, and environmental factors. Actual results may vary. Wi-Fi Connectivity: Supports public and private Wi-Fi networks or mobile hotspots that use the 802.11b, 802.11g, or 802.11n standard with support for WEP, WPA, and WPA2 security using password authentication. Supports 2.4 GHz wireless band only. Bluetooth Connectivity: Advanced Audio Distribution Profile (A2DP) support for audio streaming from your mobile device to Amazon Tap. Audio/Video Remote Control Profile (AVRCP) for voice control of connected mobile devices. Media control over AVRCP is not supported for Mac OS X devices. 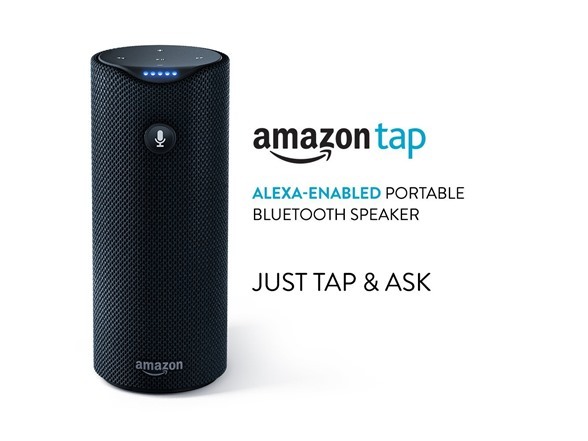 System Requirements: Amazon Tap comes ready to connect to your Wi-Fi. 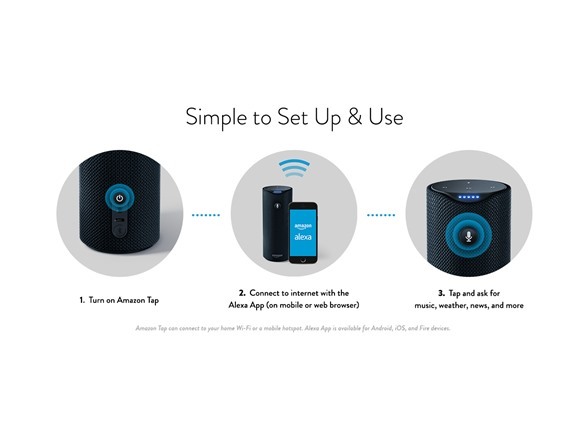 The Alexa App is compatible with Fire OS, Android, and iOS devices and also accessible via your web browser. Certain skills and services may require subscription or other fees. When tethering to a mobile device hotspot, standard data rates may apply.